With his three-Michelin-starred namesake in New York and countless other F&B concepts around the world, Jean-Georges Vongerichten is no stranger to wooing diners with his culinary panache and stunning restaurant interiors. 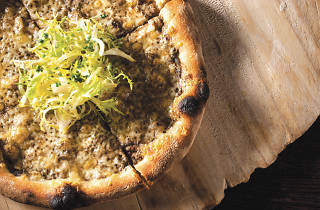 His latest venture, The Dempsey Cookhouse and Bar, is no different. 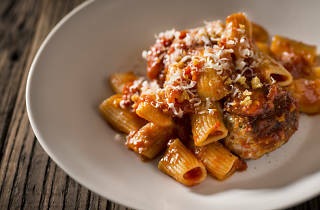 Barely a month after opening, the restaurant in COMO Dempsey is packed – you’ll need to make a reservation. Still, the dining room is invitingly intimate, decked out with small marble tables and tall white wicker chairs that create the illusion of privacy. 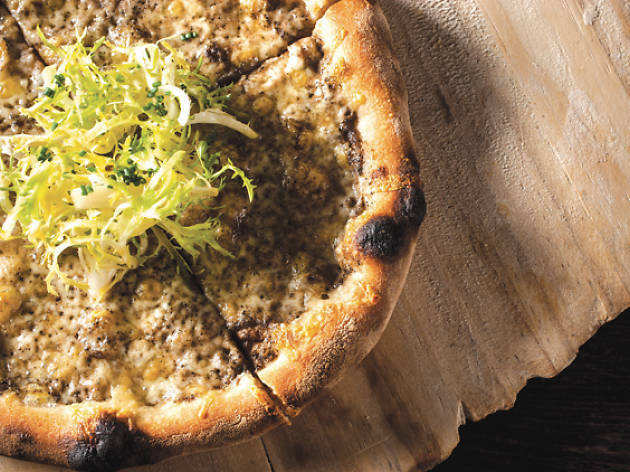 The simple two-page menu shows off some of Vongerichten’s signatures, such as a black truffle and Fontina cheese pizza ($26), and a cheeseburger with Brie and black truffle mayonnaise ($24), at surprisingly accessible prices. While the food isn’t groundbreaking, it’s still solidly executed fare with a pinch of childhood nostalgia. 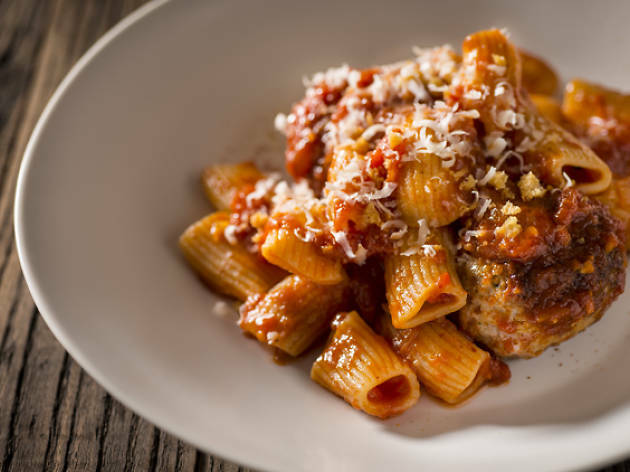 The rigatoni with meatballs ($22) instantly transports me to salad days wolfing down spaghetti and meatballs in front of the TV, while the fried calamari ($16) is a light, grease-free version of the bar snack, served here with frothy yuzu dip. The French chef is known for imbuing Asian flavours into his dishes, swapping out buttery sauces for more delicate dressings. Case in point: the spicy herbal coconut broth – reminiscent of a mild Thai green curry – he serves with roasted cod ($30). Still, unless the kitchen goes easier on the salt shaker, I wouldn’t order this dish again. The drinks menu is more extensive, featuring cocktails, beer, wines and housemade sodas by the glass and the bottle. I was recommended the vodka thyme lemonade ($22) and a cucumber martini ($22) – both were sweet and refreshing, although there’s not much to be said beyond that. I’d stick to the large selection of wines that hit every price point, from the crisp Mount Riley Sauvignon Blanc ($16) to a richer pinot noir from Burgundy ($30).